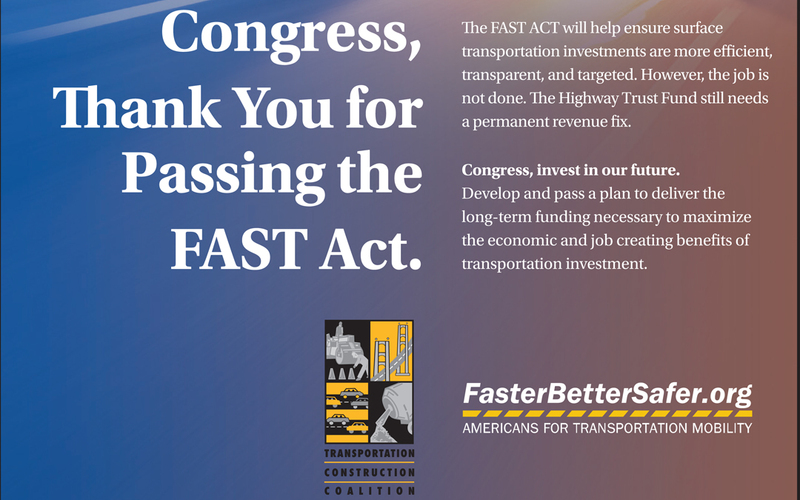 ARTBA and other transportation-focused partners teamed up to thank Congress for passing the Fixing America’s Surface Transportation (FAST) Act through a Dec. 15 full-page print ad in three Capitol Hill publications: Politico, National Journal and Roll Call. 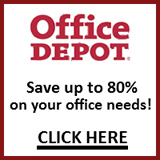 President Obama signed the new surface transportation law Dec. 4. “The FAST Act will help insure surface transportation investments are more efficient, transparent and targeted,” the ad says. But, it also reminds Congress that the job isn’t finished unit lawmakers find a permanent revenue fix for the Highway Trust Fund. The ad was produced and paid for by the ARTBA co-chaired Transportation Construction Coalition, and the U.S. Chamber of Commerce-led Americans for Transportation Mobility (ATM) coalition. ARTBA President Pete Ruane serves as an ATM vice chair.